TONIGHT! Puff, pass, with LA’s entrepreneurs of cannabis. 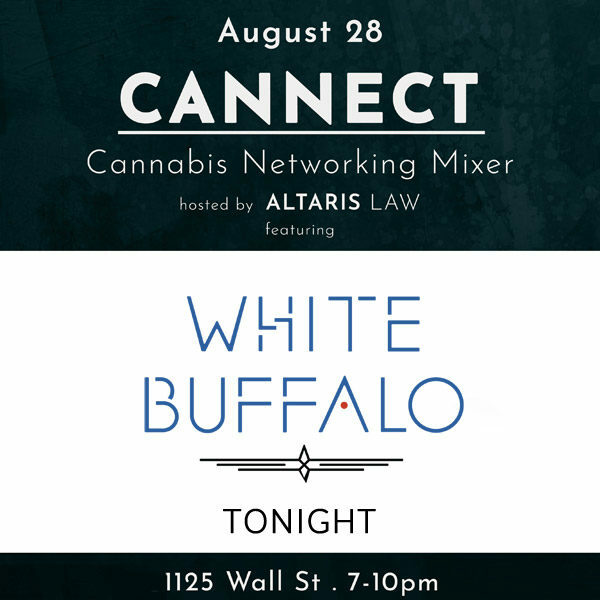 Our lovely event will be hosted by Altaris Law. Yes, White Buffalo will be exhibiting fine “wears” (we have new T-Shirts and Totes!!) from our White Buffalo Spirit line, and there will also be some other exciting movers and shakers in the house. Party starts at 7pm and the tickets are still open so get your ticket now!